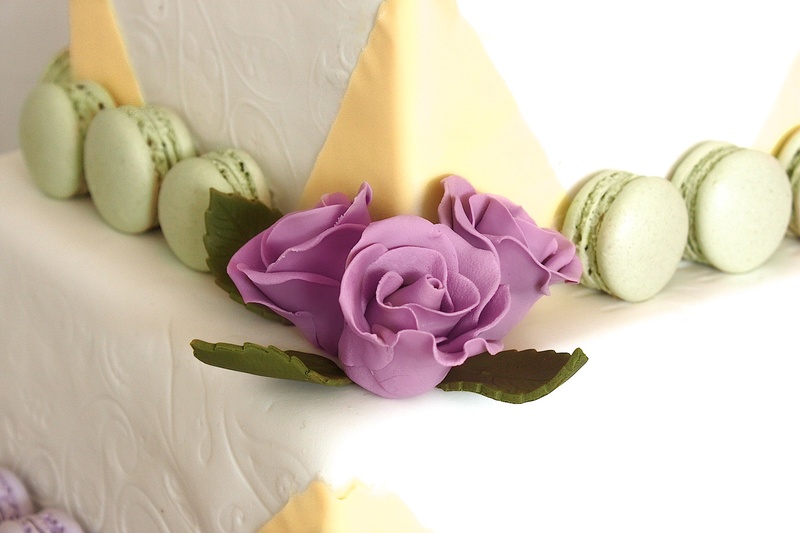 « if it’s not a cake, what is it? What a perfect cake and beautifully photographed!!! 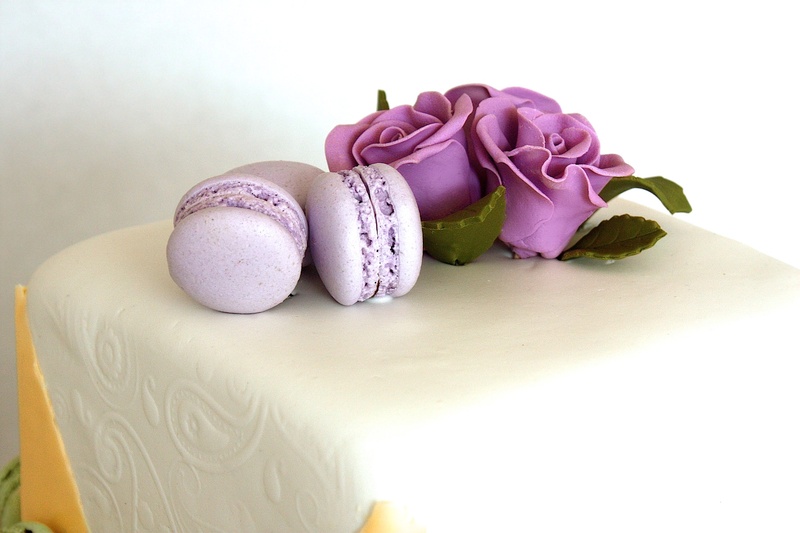 Love the macaroon decoration… gorgeous and delicious! What a great idea! I wouldn’t be able to differ between the two either if I had too. Truly is the best of both worlds and the cake looks amazing! Thanks for sharing. 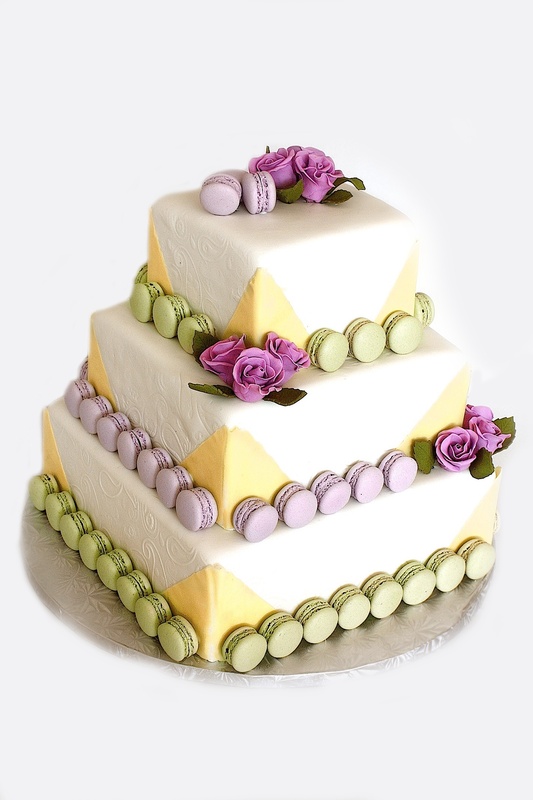 Extremely elegant cake, and I love the addition of French macarons in subtle colors. This is just beautiful!